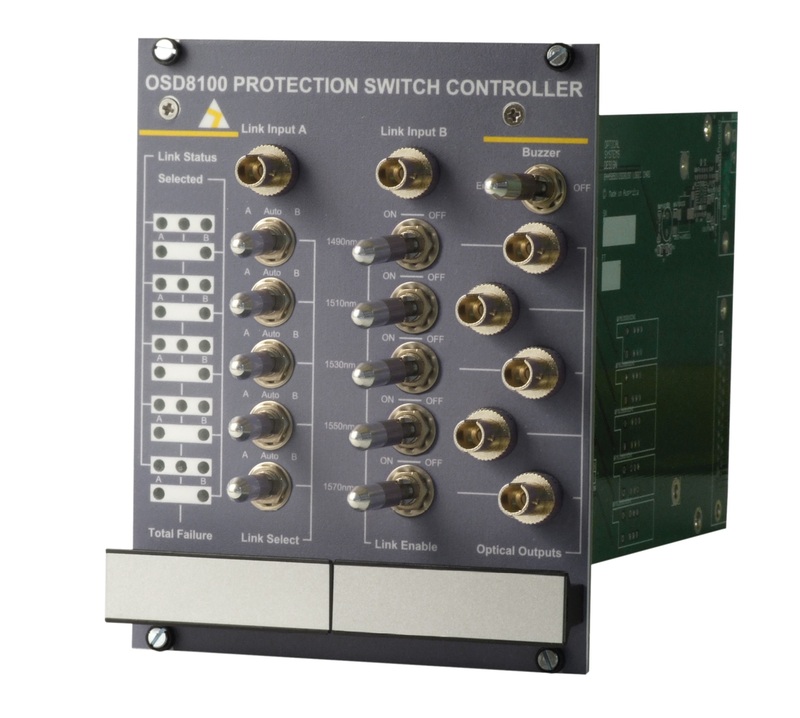 Secure automatic optical channel selection of up to 5 wavelengths carried on each of 2 fibers. Normally, 4 wavelengths are used with a fifth available as a spare that can be deployed to any of the four remote sites. User selectable link settings, auto mode for automatic link selection. User enabled audible alarm to warn if no optical inputs are detected at the primary and the secondary link. Independent of the protocols being carried. External Relay contacts for each wavelength for system alarms.